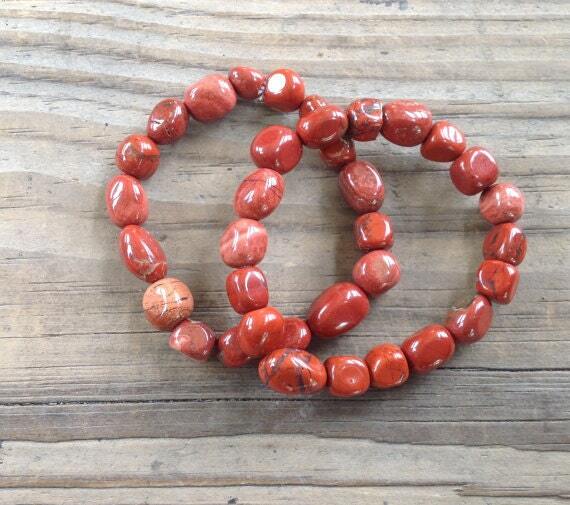 Natural Red Jasper stretch bracelets with a beautiful brick red color. Beaded with care and handmade with strong elastic stretch cord. An amazing addition to any men's or women's jewelry collection, perfect for any occasion. 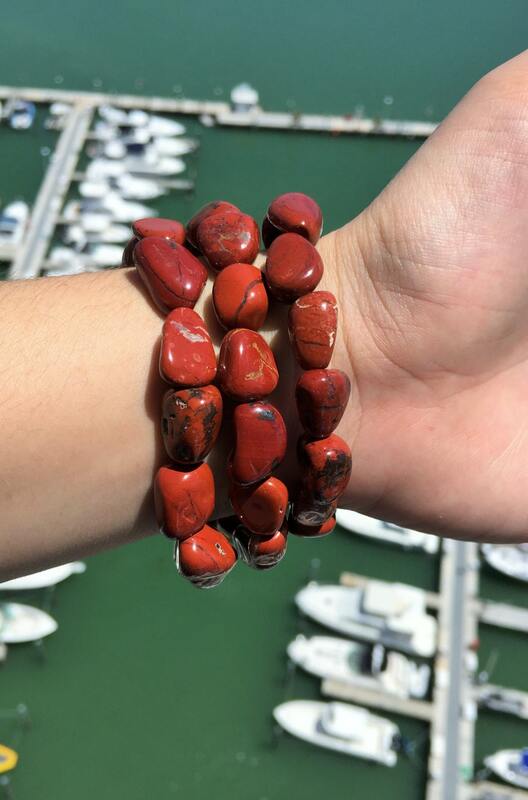 Red Jasper is a highly protective stone. It’s energy resonates with your root chakra, helping you to feel grounded and connected to the Earth. It is a stone of stability. It has been known to instill the wearer with courage and strength. What easier way to carry and keep up with crystals than to wear them? Love the color! The stones are larger and heavier then I expected. I'll have to wear them behind another cuff that fits because I have small wrist, but I love them! Really beautiful bracelet! I can't wait to wear it! Thank you!